Here are some great news to start off the week. 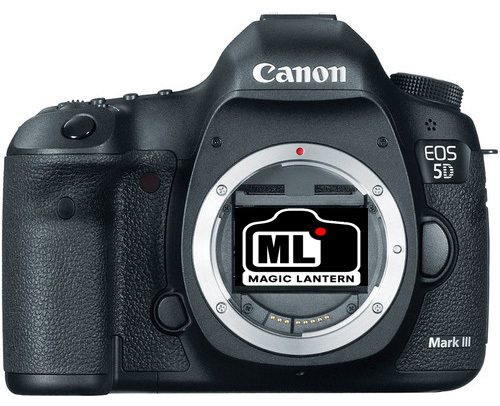 The team at Magic Lantern – Canon’s unsupported firmware just shared an interesting bit of information. They were able to use the firmware to pull uncompressed RAW video from Canon’s 5DmkIII. Usually, the video that’s coming out of the 5D is a compressed H.264 stream which both reduces the resolution and the dynamic range of the data coming from the sensor. But the RAW video provide more resolution and more dynamic rage, just like a RAW file provide those over a jpg file. It seems that while in theory the camera could produce full 1080 uncompressed footage, there is a buffer bottle neck which only lets 1928×850 at 24fps through. But that can be cropped to 1920×817 with widescreen black strips at top and bottom. “I did a quick test in Raw mode. I wanted to see how much higher I could do above 720p. I tried 1928×850 and 1928×902. I think it was 902. 902 the buffer would fill up and video stops after 700 frames or so. At 850 I am able to get continuous recordings. The best I am able to obtain in Raw mode right now is continuous 1928×850 at 24fps. I plan to crop the video to 1920×817 to do 2.35:1 wide screen aspect ratio, which is about 1920×817. The video will have black bars on top and bottom to output at 1920×1080. It sure does? look at those two sample movies. The first taken with Canon’s native compression with Technicolor CineStyle @ 1080p x 24 fps, and the second taken with the new RAW video. Well, like any uncompressed format you trade quality for space and speed. The raw video coming from ML’s firmware is a 3MB per frame river of data. So you will need a card that is both fast enough and big enough (24 FPS @ 3MB/frame is 72MB/second burst). At ML forums they used a Lexar x1000 card which cost about $300/$650 for 64/128 GB. You would also need to do some post production processing once you download the files. Alex from ML provides a RAW to DNG converter utility. Obviously, there would be a delay between discovering this new feature and releasing it to the ML firmware release. They also testing if it is possible to enable this feature on the older MKIIs. So I’d keep an eye on the ML forums. I think it would also be interesting to see if Canon ever releases a statement about this. Sweet news indeed! RED behind you! Hopefully we can get RAW 720p on the MkII?? ?